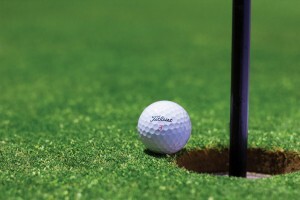 The Masters Golf Tournament is one of the biggest events in the sporting calendar, ranking up within the four biggest golf tournaments in the world and takes place every year at the exact same location in Augusta, Georgia and Tiger Woods is set to make a splash. Tiger Woods is one of the most popular names in golf, although not always for the right reasons but his return to The Masters will either be a triumphant return to the top or it could reveal that his time away has damaged his chances of winning. Tiger Woods has quite the history at The Masters tournament, having walked away with the championship title four times over his career but his return after a two-year absence could spell trouble. Whether it’s putting Woods himself in trouble or his competitors, we can only wait to find out. Woods has previously performed incredibly well at Augusta, even setting a record in 1997 for having the largest margin of victory The Masters has ever or will ever see with an incredible 12 strokes. Woods also became the youngest ever winner at The Masters in 1997 at age 21 years (and 105 days) old. The Masters this year could either make or break Tiger Woods. We’re all quite accustomed to seeing Woods performing well at The Masters but a two-year gap could be the thing that spells disaster for Woods. Of course, Tiger Woods’ presence at The Masters has also had a pretty significant financial impact on the tournament. The ticket prices have increased by almost double the price from last year, with an increase from 2017’s Masters’ Ticket price of $3,722 to this year’s staggering $7,684. The Masters Tournament this year is now looking like the second most expensive Masters to attend in the past seven years. It also seems like Tiger Woods at The Masters again has also affected the sponsors, with a huge influx of some of the biggest sponsors and interest building around the tournament. It seems that the Tiger Woods name still carries quite a lot of appeal for fans and companies around the world. It’s certainly geared up to be an exciting Masters tournament, and we can’t wait to see what happens. Of course, those with the highest expectations can sometimes come up short, so it’ll be interesting to see how Woods performs. You can read more about The Masters from their official website.